Town & Country Disposal is an expert in trash, junk, and rubbish removal in the Cattaraugus, NY area! We can remove debris of any size from your property. Our goal has been to ensure the complete satisfaction of every customer while offering knowledgeable and quality service. 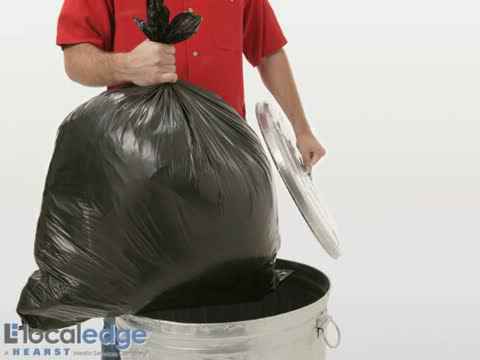 We have gained the experience of being able to provide nearly any type of hauling and garbage removal service there is. We also offer 15 & 30 yard roll off container service. If you are in need of weekly residential and commercial garbage pickup, give us a call. We also offer clean ups after roofing projects, demolitions, household clean outs as well as new construction disposal. Let us pick up and remove your junk autos and scrap metal. We specialize in estate clean outs. Some of the items we dispose of include appliances, furniture, construction debris, and storm debris. We also accept electronics, TVs, DVDs and more. Were conveniently located in Otto, NY and serve the surrounding areas. We want to make your experience as affordable as possible. Which is why we offer FREE estimates. We are a fully insured and licensed company that takes pride in offering you the best service possible. When it comes to trash removal, there is no better company to call. Let us help you with your trash removal today! Call 716-560-6605 today for your FREE estimate! U-call we haul….There’s no project to big or too small! Our goal has been to ensure the complete satisfaction of every customer while offering knowledgeable and quality service. We know that you have a choice of hauling and removal companies in the area and we appreciate your consideration. Our hope is that you’ll feel confident in our ability to meet all of your expectations and know that our customers are always our number one focus. Trash Removal, Rubbish Removal, and Garbage Removal is what we do! We have gained the experience of being able to provide nearly any type of hauling and removal service there is. However, if you don’t see exactly what you’re looking for here, please contact us and we will do everything we can to satisfy your needs. Please take a moment to browse through our site to learn more about our company and how we can show you the Town & Country Removal difference. If you have any questions or comments, please feel free to contact us. We look forward to hearing from you soon. For all of your garbage removal needs, call us! Were conveniently located in Otto, NY and serve the Cattaraugus County area. We want to make your experience as affordable as possible. Which is why we offer FREE estimates. We are a fully insured and licensed company that takes pride in offering you the best service possible.